Applications for Nursery, Run for Longevity and Accomodation have been closed. Conference Information has been updated. Prof. Eric Verdin’s lecture has been chanceled. New lecturere is Dr. John Newman. The abstract submission has been closed. Thank you very much for your contributions. The deadline for abstract submissionhas been extended to January 31, noon. 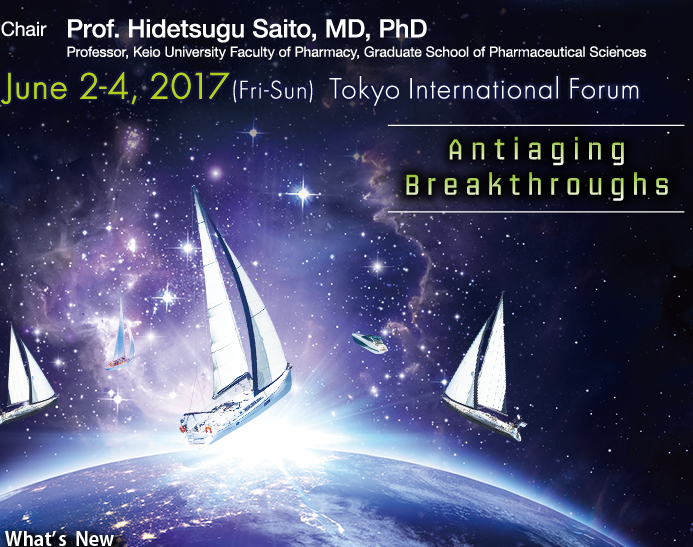 The deadline for abstract submission has been extended to January 26. Registration for Understand Your Genome has been opend. Run for Longevity has been updated. General Infromation has been updated. 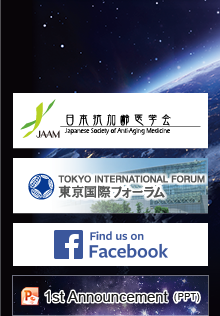 Copyright © 17th Scientific Meeting of the Japanese Society of Anti-Aging Medicine. All Right Reserved.